Today would be my third time traveling to Dubai. The first and second can't be counted for as both I could only considered it as transit. 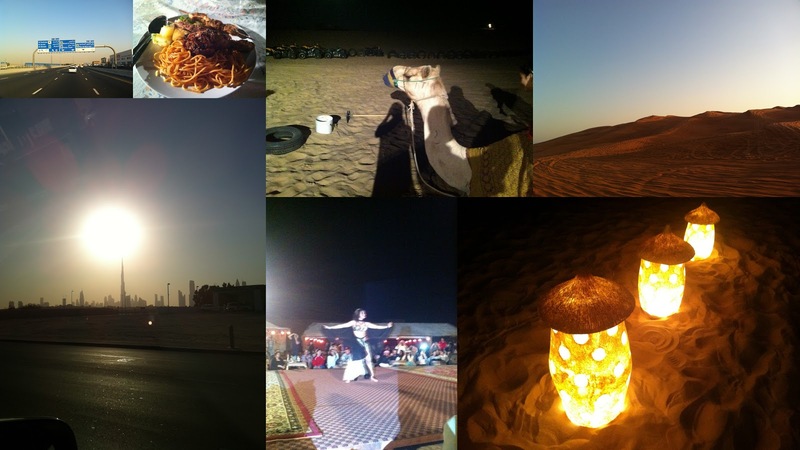 I went to Abu Dhabi straight upon reaching Dubai on my first trip. The second time was only a mere 24 hours rest. So this time is a long stay and I'm bringing my mom along. The flight isn't long but due to transit instead of direct flight, we arrived a little bit later than expected. So by the time we arrived, it is already night. The timezone in UAE is UTC+4. The only thing I can do is to go to the local restaurant and feast on the delicious Briyani rice. The day planned for shopping. However I didn't know that Friday is an official off day for UAE. So all shops are closed today. The only things that open are their malls. So we went mall hoping instead for today. The best and good way to travel around the city is by taxi. The city is huge. So it is best for you to bring a lot of money for the taxi ride. The starting fare is UAE3. The further you go the scarier the fares goes. 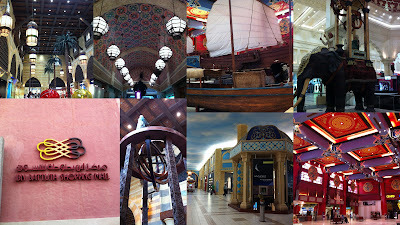 The first mall was Ibn Battuta Mall. It's really a little bit far from the hotel but I can say its worth it. The design was nice and it's based on the theme of cities around the world. So you definitely notice the different elements once you inside the mall. 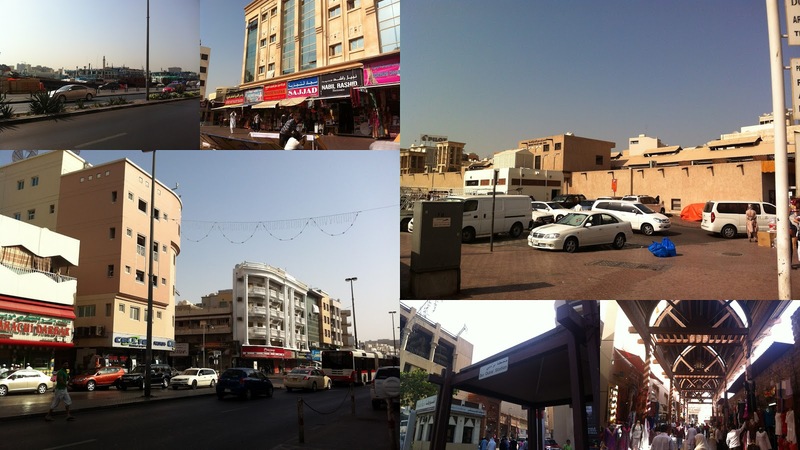 It was said that the mall is based on the spice route between UAE and China with some stops around cities along the route. 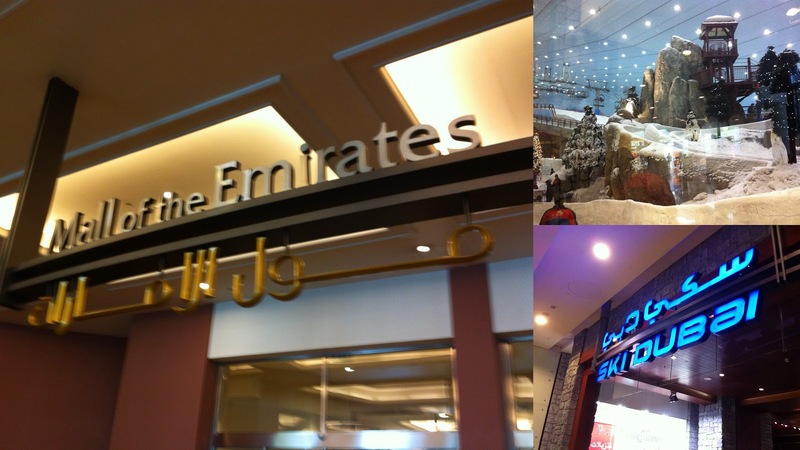 The second mall was the Emirates malls. It's also a huge mall but all the shop inside sell the normal items just like the mall in Malaysia. So there is nothing different to look upon in the mall. The only huge differences is the Ski Dubai. The largest indoor ski in the world and in the desert I can say. The place is huge and crowded with people. To me it's nothing since I can experience the snow anytime but I would understand for them to enjoy it very much. The entry fee is about UAE500. I better keep my money for shopping instead. My mom is getting tired. 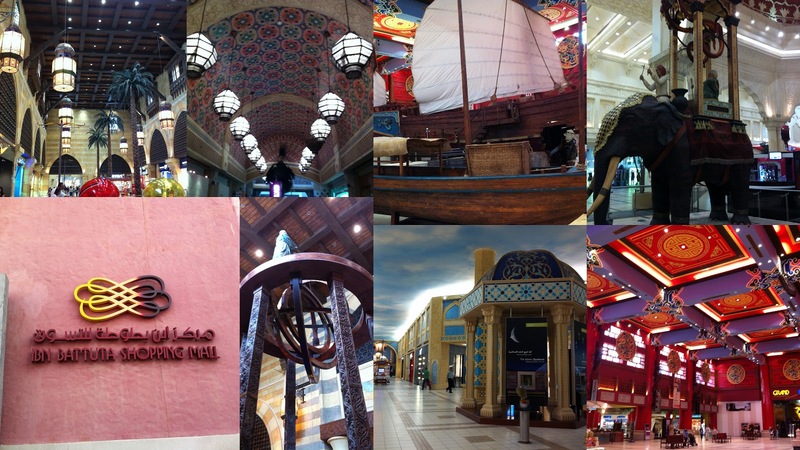 So we had to skip the Dubai Mall. The one connected to the Burj Khalifa. It's alright. It's better to head to the hotel instead and rest. We did try to walk around the hotel to see if the shops open but still close due to Friday. I went to sleep since I'm flying off to other place in the morning. I'm out of the country for the day flying to Kingdom of Saudi Arabia. 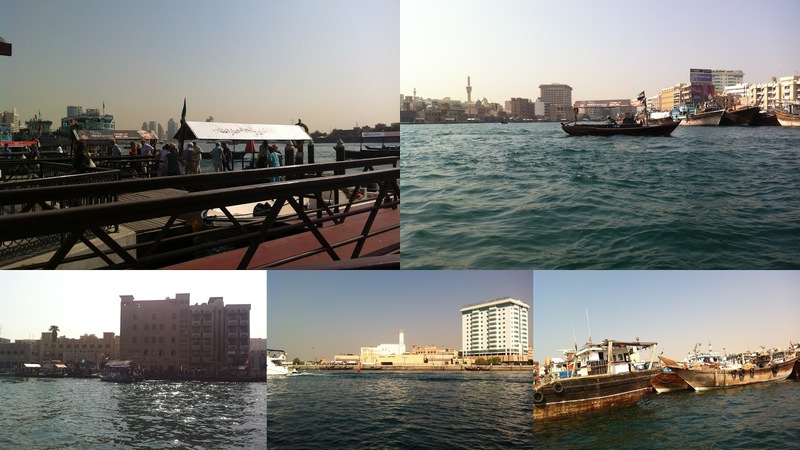 The city of Dammam. 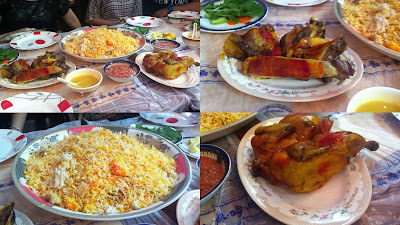 Once arriving back, dinner was a great roasted chicken and lamb. It's was really good. The price is a little bit pricey but it was so worth it. Today would be a long day for us. We went out for a walk around the hotel. This time all the shops are open since its Sunday and people work on Sunday. Thank god. So off we go for shopping. The good thing about the shops in the area is they divide the area with types of merchandise. 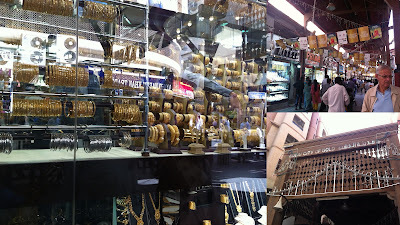 So we have streets full of clothes, perfume, housewares, gadgets and so much more. Oh ya. 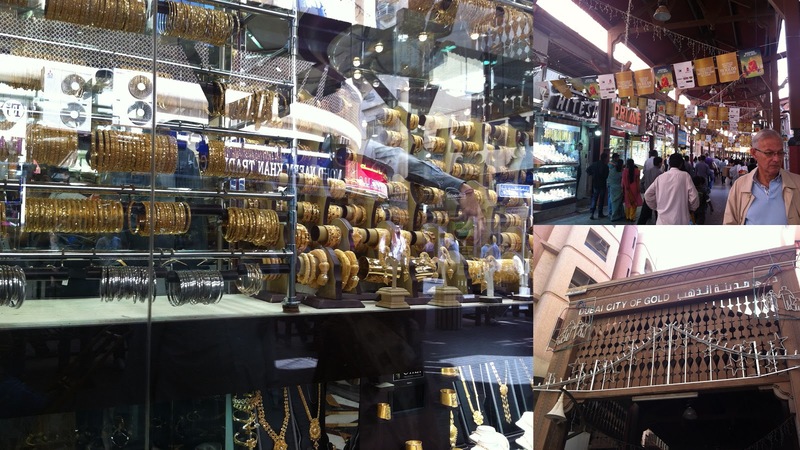 The gold street is not to be missed. It just like you in a cave full with shining golds. I realized one thing is that the streets are full with male instead of female. Perhaps it's normal for the male to do the shopping in the area. 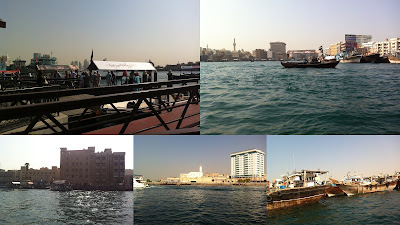 The best part of the shopping is to ride a boat to cross around the river. It only cost UAE1 per trip. So cheap and nice way to travel. It's afternoon and soon we will be heading for our desert safari tour. The tour is in a 4WD ride. It's really a great journey outside the city. The one hour journey brings us near the border of Oman where the desert sand still visible without the high rise building around. The tour is pretty much standard. So it's up to you to choose the company for it. The price per person would be in between UAE100-UAE200. The tour comprise of dunes ride, belly dancing show, camel ride and BBQ dinner. There are a few optional tour or activities you can take with extra price of course. The traveling time the most in the tour. So as for me I can say its a good for a once in a life time experience. Would I do it again? The answer is definitely no. Since we both so tired we just call it a day. The last day of the trip and I didn't do anything basically. I was feeling a little bit sick. I guess it just from fatigue. All we did was we took the shuttle bus to the Deira Shopping Mall which located near the hotel. After a brief walk around the mall, we decided to head back home to continue our packing. We sure have a lot to pack since my mom did bought quite a lot on this trip. I managed to get some rest before its time to go to the airport and fly home.